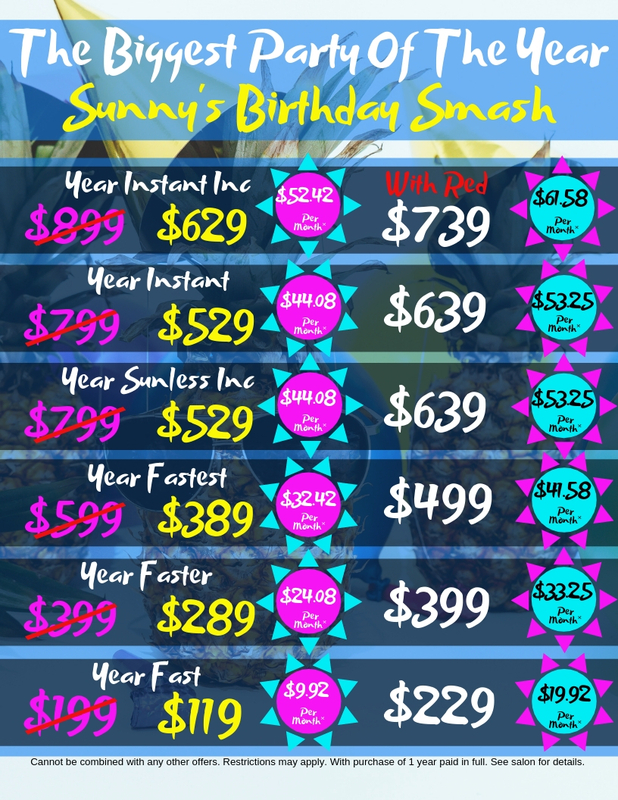 Our most popular package and best value is our Sun Club. 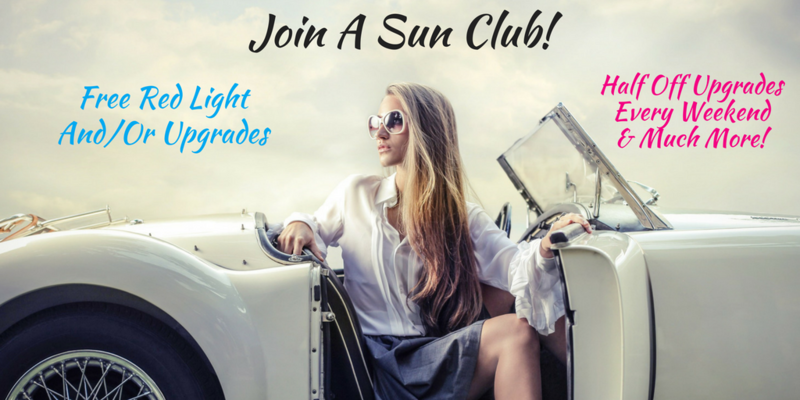 With the Sun Club, you will receive unlimited access to the level of your choice plus amazing discounts on upgrades and sunless tanning. With our Annual Club You Don’t Have To Worry About Payments! “So how does it work? Your Membership lasts 365 days. There is no cost to join, and no payments to make! You will pay for the membership in full! Tanning memberships. Tanning no membership. Midnite Sun Tanning. Midnite Sun Memberships. Midnite Sun Sun Club. Midnite Sun Years of tanning. Midnite sun year. Annual Tanning Membership. Year Tanning. Spray Tan Membership. Midnite Sun Spray Tan. Midnight Sun Spray Tan. Midnight Sun Membership. Tanning Salon Membership.